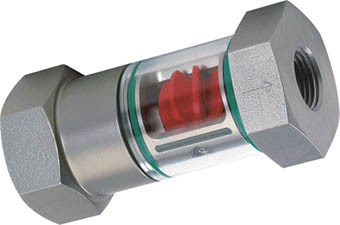 Mechanical flow indicator for fluid media with rotor for quantitive flow display. The rotor turns in proportion to the flow.Robust construction in brass or stainless steel. Suitable for low viscosity liquids and and gases. Not sensitive to dirt.